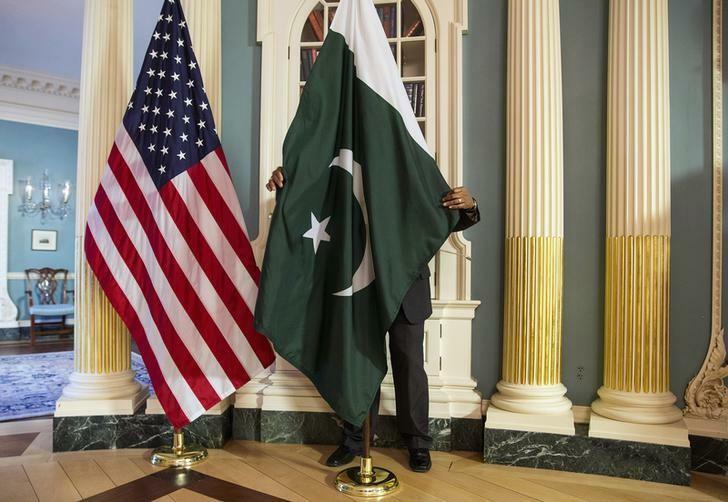 Can the US stand its ground and outwit the military-ISI-jihadi complex of Pakistan? Washington: After months of talking tough on Pakistan and delivering ultimatums, the Trump administration is faced with a real decision – whether to give its frenemy a pass as previous administrations repeatedly did or act on its threats. The game of chicken is on and the question is who will swerve as the two sides face each other. The Pakistani establishment is adept at playing with years of experience behind it. As always, the idea is to pin US officials down somewhere between hope and despair and drag them as they lose steam. Pakistan has already stalled a string of visiting senior US officials by deflecting blame for its mess on Afghanistan and India, claiming it is already doing more than its fair share to fight terrorism and that it’s working hard to restart the reconciliation process with the Taliban. And by the way, there are no terrorists or safe havens in Pakistan. Meanwhile in Washington, Pakistan is engaged in a delicate dance of wooing and cajoling the US establishment because it senses that US President Donald Trump is different. Trump is a maverick and could break the rules of game and not even blink. Pakistan’s ambassador to the US, Aizaz Ahmad Chaudhry, has been blanketing think tanks and South Asia departments at various universities to make his case. His thrust is to hark back to 70 years of friendly relations with the US when all was well and the two countries stood by each other. He had been sent with the express directive to repair relations with Washington, he told his audience at the Carnegie Endowment this week. Pakistan was “a bridge to China” for the US in the past and can be one again, Chaudhry reminded the Americans ever so unsubtly. Wearing a pin of joint American and Pakistani flags, he called the US “the single most important country” for Pakistan. But the claim no longer resonates as it once did given the questions he faced. The ambassador then went on to weave a web of half-truths and untruths. He claimed there was no dissonance between the civilians and the military in Pakistan, that the recent capitulation of the state to a marginal mullah called Khadim Hussain Rizvi after a three-week standoff was nothing to worry about, that Hafiz Saeed simply couldn’t be held in custody anymore for lack of evidence, and that India had “little interest” in a stable Afghanistan and only wanted to destabilise Pakistan with a “double squeeze”. Pakistan, on the other hand, wanted Afghanistan to be stable and prosperous. Recent conversations with senior US officials are making progress and bearing fruit, he indicated. The Pakistan army also sent “President” Masood Khan of Pakistan-occupied Kashmir to Washington this week to put the spotlight on India. 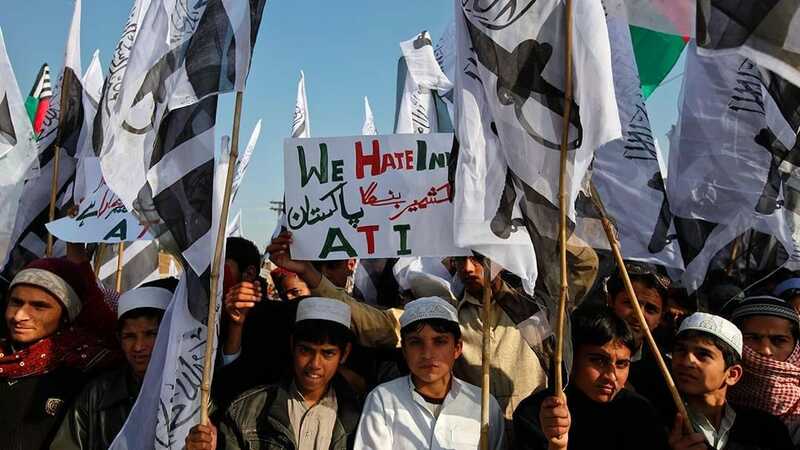 Speaking at the Atlantic Council, Khan, a former ambassador of Pakistan, tried to convince his small audience of the “quasi sovereignty” of “Azad Kashmir” while admitting how Pakistan directs the region’s policy. Also read: How Do You Solve a Problem Like Pakistan? Khan then lamented that India’s “strategic alliances” were preventing the United Nations from acting on the Kashmir resolution. He advertised every human rights violation in Jammu and Kashmir – the use of pellet guns and the army tying a man to the jeep as a hostage to deter local rebels. “There are no human rights violations in Azad Kashmir,” he declared, satisfied with his presentation under the watchful eyes of Pakistan embassy officials. The Pakistanis are playing both hard and soft ball with their US audience – giving official visitors the runaround in Islamabad while working hard to rejuvenate the nearly extinct Pakistan-friendly constituency in the US capital. Trump’s August 21 speech on his new South Asia policy alarmed the Pakistani establishment enough that it, for the first time, saw rupture as a real possibility to say nothing of the steadily drying US aid. China or no China, Pakistan doesn’t want to lose its original benefactor. At the same time, Islamabad has to keep a semblance of pride when dealing with an unhappy Washington that is finally demanding a return on investment. It is at this cross section that Pakistan’s diplomatic energies are centred – it is demanding a change in Trump’s policy in exchange for cooperation while playing the victim card in Washington. US Defence Secretary James Mattis, who made a short trip to Islamabad on Monday, was the latest victim of the game. If a report in Pakistan’s The Express Tribune is anything to go by, his demand for joint operations inside Pakistan was rejected. If the US has evidence of terrorist networks inside Pakistan, it should share the intelligence, he was apparently told. The report said the US would likely change its “current” tone because of the “firm” stand adopted by the country’s civil and military leadership. To be sure, the report based on “federal government sources” was meant for a domestic audience – the daily threats from Washington had to be countered. But the underlying intransigence is unmistakable. It appears Mattis didn’t get any promises from Pakistan. Islamabad’s attitude is especially noteworthy in light of Central Intelligence Agency (CIA) Director Mike Pompeo’s threat delivered ahead of Mattis’ trip. Pompeo essentially said the US would act if Pakistan didn’t, and ensure that safe havens don’t exist. Pompeo is generally more outspoken than Mattis – he had revealed that the US-Canadian couple released in October after five years in captivity were held inside Pakistan, contrary to accounts given by Pakistani officials who had them living in Afghanistan. But can Pompeo, Mattis and National Security Adviser H.R. McMaster stand their ground and outwit the military-ISI-jihadi complex of Pakistan? Pentagon’s move last month to get the name of Lashkar-e-Tayyaba removed from the list of terrorist groups that Pakistan must confront under US law does not inspire confidence. Apart from the open acknowledgment of Pakistan’s double role in the replay of the oldest geopolitical movie, the words of the Trump administration are at risk of being just that – words.